Every cannabis grower’s dream is to grow buds that are big and healthy. So, when a strain does not produce the heavy buds they are aiming for, growers are disappointed. But how to grow heavy buds? How do you grow these heavy buds that you are aiming for? Are you doing something wrong or is it a matter of inefficiency in the growing process? Why are my buds not growing as expected? Light is the main reason why many buds do not come out as heavy as they should. If your plants do not get enough light at the flowering stage, chances are, buds will not be heavy or big. Although cannabis plants do well in low light situations, it won’t produce the desired buds. This stage can be deceiving because your plant will grow healthy, but the buds stay behind. Thus, more light at the flowering stage equals to having healthy heavy buds. 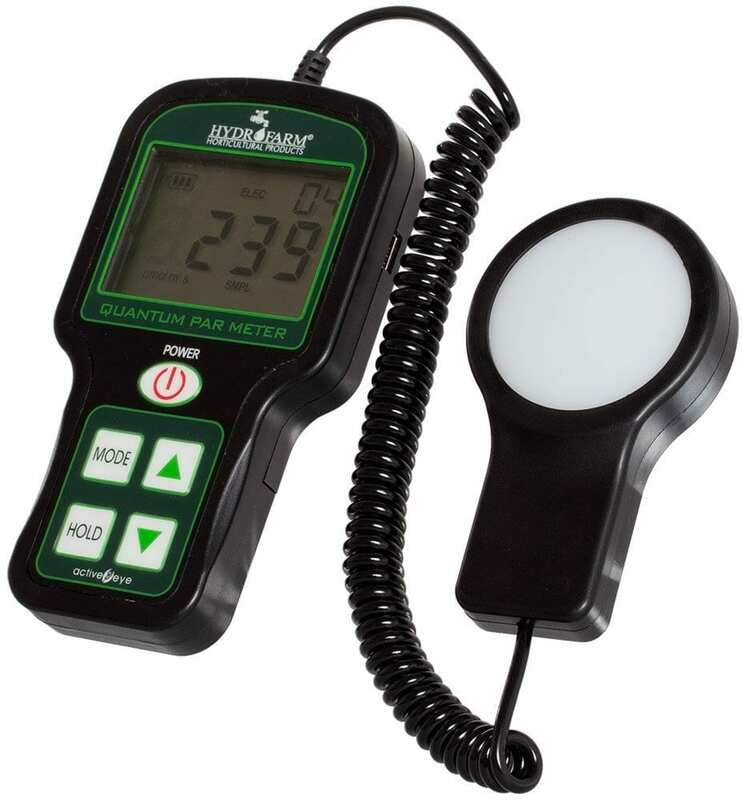 A PAR light meter can help you in measuring the light intensity of your grow lights. Note: Excessive light can also affect your bud, and make it grow poorly. The right balance is essential for growing healthy buds. Sometimes, it’s not about what you do, but about the genetics of the strain you use. Some strains are more likely not to give you the heavy buds you want, despite how you care for your cannabis plant. 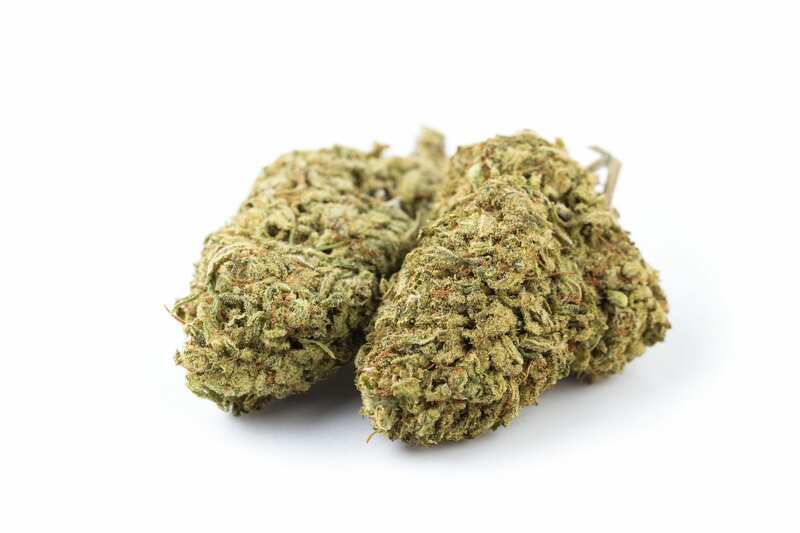 An example is the Sativa plant. Sativa plants usually produce relatively less heavy buds, while another an Indica strain produces relatively compact and heavy buds. Not everything is in your power unfortunately. Every cannabis grower knows that when it comes to growing the plant, the temperature has to be just right. If the temperature is too high at the flowering stage (85°F/30°C), it will cause the plant to have loose buds. Low temperatures are not good as well. Finding the right balance is, again, important for your plants. This plays a key role in making buds grow fast and heavy. Buds at the flowering stage need to have the exact nutrients needed to be heavy, and it should be applied in the right proportion. The exact amounts and types of nutrients depend on your string. Search Google and you’ll probably find recommended nutrients and levels by other growers for your specific strain. Buds need enough space to let in light and air, as this helps it develop as heavily as it should. Growing heavy buds requires doing everything necessary in the right proportions. From using the right amount of light to adding the right supplements, it must be done in the right measure to ensure you don’t end up with loose, airy buds. Here are some tips that are important to make sure your buds are heavy and healthy. The light to be used should be enough, but not too much. It should be bright, but not too bright. 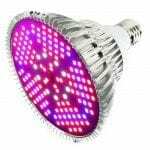 If you use a tiny LED grow light or a little CFLs light, that is less than 100 Watts, it is not enough for multiple plants. Calculate the area you need to cover for your plants and set your lighting equipment equal to this. 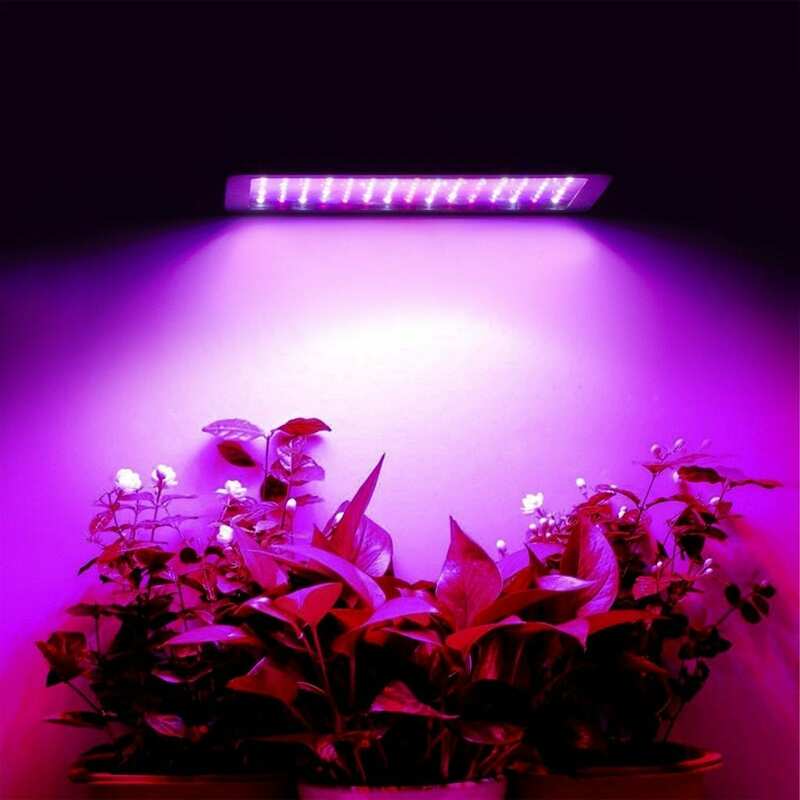 Keep in mind that you’ll have different lighting requirements at different grow stages. At the vegetative stage, lighting might be enough and the plant still won’t produce heavy buds. The same can happen if you’re lighting is sufficient for the flowering stage. 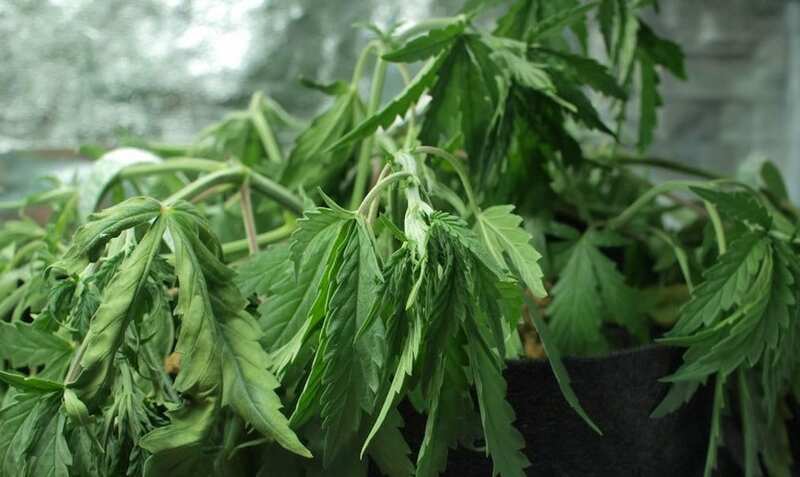 It can still lack in growing the heavy buds, because it is not enough for the vegetative stage. Even if the cannabis was planted with the right strain, if it does not get enough light, the buds will be affected. As an estimate, for every square foot of coverage area, 100 watts lighting is needed. This is right for smaller areas, but it’s not correct for larger areas. Note that the hanging height of the light is also important in this calculation. Another thing to consider is the color of light being used. You can use red, orange, or yellow frequencies with your light spectrum at the flowering stage to produce heavy buds. Using an optimal light spectrum is very important. You can measure this by using a PAR light meter. If you are growing your cannabis plants outdoors, make sure it gets up to eight hours of light every day. Also, make sure the sun doesn’t scorch them. Like in most living things, genetics play a big role in how cannabis buds grow and produce. It also affects their smell, appearance, and taste. As mentioned earlier; the Indica-dominant strain produces more heavy buds than Sativa-learning strain. Other strains do not get as heavy or produce thick buds they way the Indica-dominant strain do. It is believed among growers that the strain you use to grow your cannabis to a large extent determines the heaviness of your bud. Note that different breeders have different strains, which they sell. For example, an “A” strain being sold by one breeder may not be the same as the “A” strain another breeder is selling. Also, the “White Widow” strain will be the same between two breeders. Names are usually universally the same for different strains. Thus, make sure you carry out intensive research about a strain and its breeder before you buy it. While researching, make a list of the strains you want to grow and get pictures of them from different sources. You can also check on YouTube or Seedfinder to see videos of the kind of strain you want, and see what it looks like when it has fully matured and harvested. Seedfinder is a huge database with all types of cannabis strains available. You’ll find pictures, videos, information and everything else you need about the cannabis strains you’re looking for. Finally, have in mind the effect you want in terms of odor, smell, appearance, and buy a strain that will give you what you are looking for. This is a very common saying among growers, so even if you’ve heard it before, it is worth repeating. The importance cannot be overemphasized. You need to know not to over water your cannabis, as overwatering effects how your buds will turn out. With growing cannabis, covering your bases is for the good of your bud. Extra care is needed to ensure that the time and effort you’ve put in is not in vain. If your cannabis appears droopy, it is very likely that it is overwatered. This will cause more harm than good. Note that your cannabis may appear healthy even as it looks droopy. Also, underwatering may also cause droopy leaves. This might look the same, but the difference is in the leaves being firm instead of wilted. Firm leaves mean overwatering, wilted leaves mean under watering. A side effect of overwatering is a nutrient deficiency. Your leaves can start to turn yellow. More causes of leaves turning yellow can be found here. Plant roots need to have the exact amount of water and oxygen for it to be healthy and stay that way. Allowing oxygen and air to get into the root, helps to regulate the water function. Note that when your plant does not have enough oxygen, it won’t properly use water and other nutrients. This will, in turn, lead to the slow development of your buds. Thus, ensure you pay attention to the root while giving it the right amount of water. Don’t despair if your buds at the flowering stage appear not to be heavy, and at the time of harvest, it remains the same. There is a solution that will help get the density up. Drying and curing your buds after harvesting might help add the required density it is lacking. It will also add more taste, smell and potency to your buds and give it a bag appeal. In drying and curing your buds, make sure you do not dry them too quickly. Put them in a glass jar. Also, at the time of drying and curing, the jar to be used is a wide-mouthed Mason jar that is one quart in size. 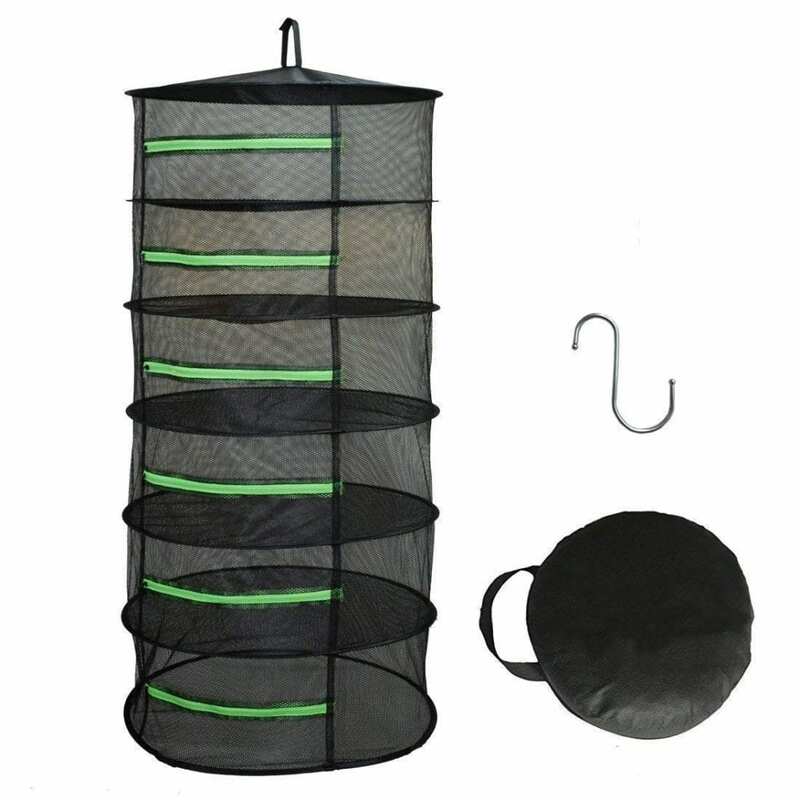 An example of a drying rack that you can buy on Amazon. Click the image to go to the product page. Use a drying rack if you live in a place where the climate is humid. Other things to have include a Hygrometer (this is optional! The caliber to have is the 14 Hygrometer, which fits easily inside the quart mason jar), and a Humidipak (It is also optional. Get the Boveda Medium 62% pack which is cheap and practically designed for the shortage of cannabis, to prevent it from drying out and getting crispy). You might be wondering why you need a “Big enough container”. Let’s start by first saying it is very important that you do, as the size and heaviness of your buds depends on it. If you don’t use a big container, but opt for a small one, you can be sure that you’ll get only buds, as a small container will not be able to hold big, heavy buds. 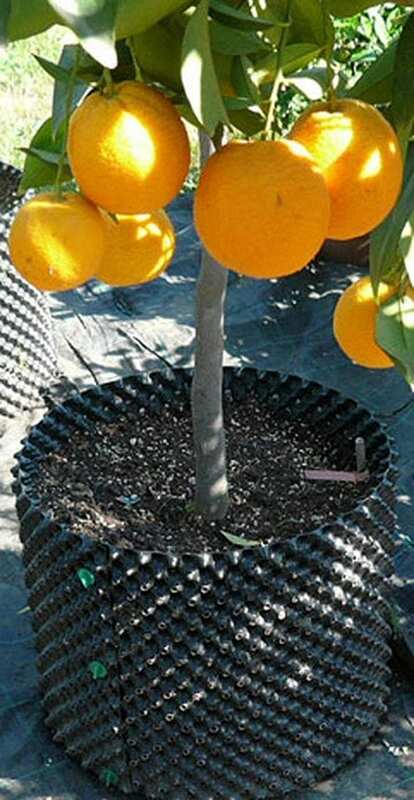 When you use the right container, it will help you get the best out of your plant. Thus, use a container that suits the size of cannabis you are aiming for. When choosing pots, choose “Smart pots” and “Air pots.” Using these types of pots helps your cannabis grow faster. A smart pot is made out of fabrics that enable the plant inside to get air from the sides, leading to faster growth. An air pot, on the other hand, is made out of plastic with holes on the sides. These pots prevent cannabis from getting root-bound from a container that is too small. Note that density is not the only thing that determines bud quality. The best is to have a bud that is neither too dense nor too light. Supplements are important. But what’s more important, and should be a primary concern to you, is ensuring that you get the right base nutrient. Your cannabis will have problems if the base nutrients are wrong. When this happens, your cannabis won’t produce any buds, and no amount of supplement will change it. Thus, get the base right before thinking about supplements. Some supplements used for cannabis boast of aiding its increase in yield and heavy buds, and they mostly have sugar in them. Amino acids, humic acid, trace minerals, and some additives have proven helpful in having heavy buds. Supplements are expensive to purchase, and growers who can’t afford them use “Blackstrap Molasses,” which is mixed with water. 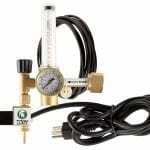 This is used in the last weeks of the plant’s life, and it boosts bud growth. Finally, as a grower, know your soil type. The type of soil you’ll use will determine the supplements you need to add. 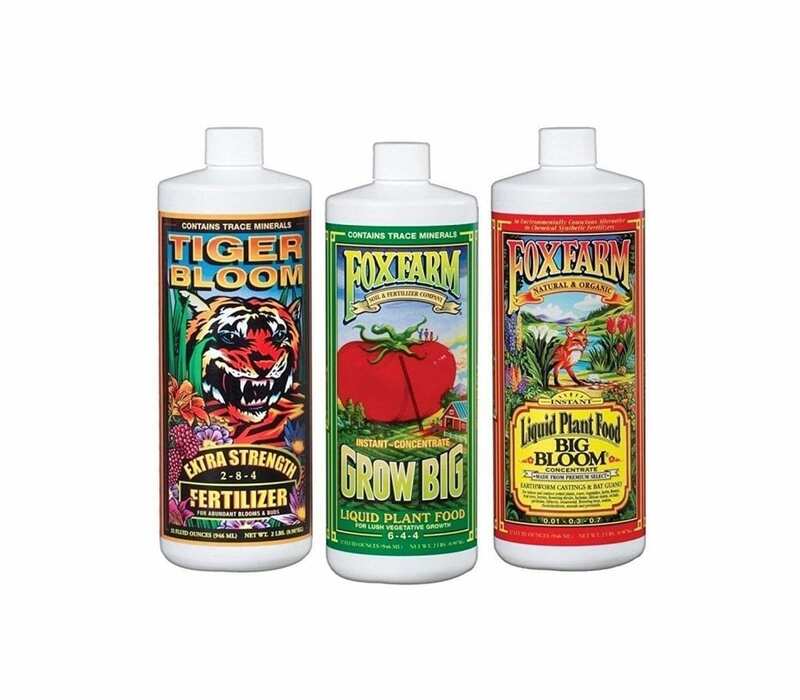 For example, for Hydro, soil, or coco, use Liquid Koolbloom, Hydroplex and Beastie Bloom. Humidity to cannabis is as important as temperature, and thus, it must stay within the accurate range. At the flowering stage, humidity should always be kept 45%, and it should maintain that percentage when it is two to three weeks before harvest. This will help trigger the natural response of your plant, and make it go into overdrive in producing buds. Also, relative humidity during flowering enhances density level, increase in resin production, increase in taste and smell, and also, it increases the potency of the cannabis. It will equally prevent your bud from rotting in the middle of the heavy buds. Those who grow cannabis indoors have a lot of control over the humidity in their grow space. For outdoor growers, it is more advisable to use a strain that is climate-friendly. When you notice that the humidity will be high, the plant should be covered in such a way that the change in weather does not affect it. Note that cannabis should be protected when it rains, and it should be planted in a place where it will get a little wind. At the flowering stage, you should ensure your plant gets the right amount nutrients. Make sure you prevent it from getting nutrient burn. This helps to prevent nutrient deficiency, and it provides what the plant needs to grow and produce buds. Note that knowing the pH level of the soil you plan to use for your cannabis is very important. It helps in the absorption of nutrients and ensures that the plant has enough nutrients in its root. At the flowering stage, cannabis needs a little bit of nitrogen, a good but moderate amount of phosphorus and a lot of potassium. The potassium should be double the amount of nitrogen, while the phosphorus should be more than the nitrogen, and a little more than the potassium. Avoid using vegetative and all-purpose nutrients, as they are high in nitrogen. Nutrient levels are usually listed at the back of the nutrient bottle containing them, so there is no room for mistake. We reviewed the best nutrients and fertilizers available, so you should definitely check out this list before buying. You know what to buy by using that list. Some growers are not interested in using nutrients. If you fall into this category, you can use an amended and composted super soil. This super soil ensures that plants have the right amount of nutrients that it needs. Harvesting your cannabis at the right moment is also very importan. Your cannabis buds are very sensitive to the harvesting time. When cannabis buds are harvested at the right time, it means that they have reached maturity and have developed to the fullest. If you harvest too early, you will have less heavy buds. The likelihood of having airy and underdeveloped buds will be high. Harvesting early will also reduce the potency of the buds, and when used, it causes headaches for some people. Note that buds should not be harvested when pistils are still white and striking out. Wait until they have matured and have thickened. A magnifier can be used to look at the buds closely to know if it is the right time to harvest or not. Also, you can use trichome to know when to harvest. The hairs on the buds that carry raisin help to determine when the right time to harvest is. When you notice that 30% to 70% of the trichome has changed from clear to cloudy, then it is time to harvest. But if you are going for a “Couch lock effect”, then you have to wait till the trichome changes from clear to cloudy completely. We wrote a complete article on what is the right time to harvest cannabis. If you’re interested in the details, make sure to check it out. 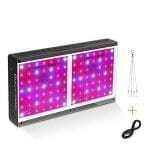 Next article Do LED grow lights work?